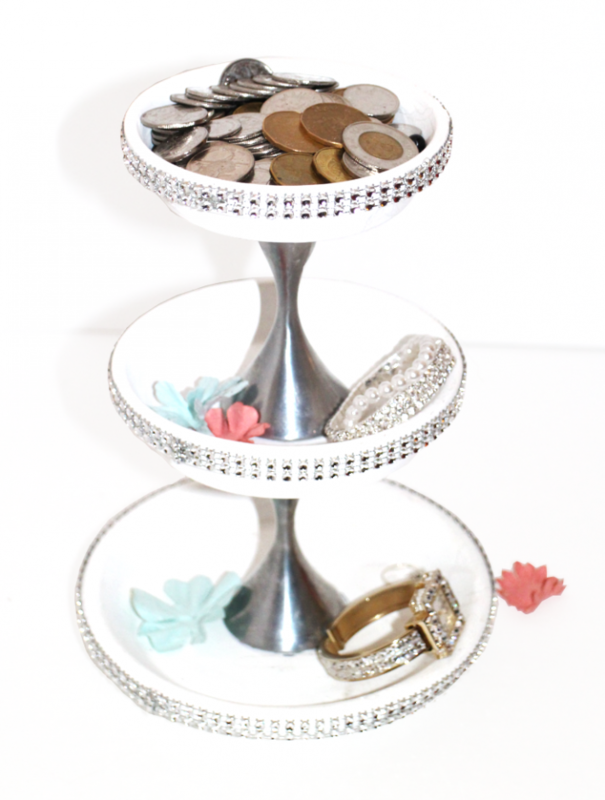 There’s a ton of tutorials out there on making these cute yet useful 3 tier stands however, I have never seen one made with these materials before. 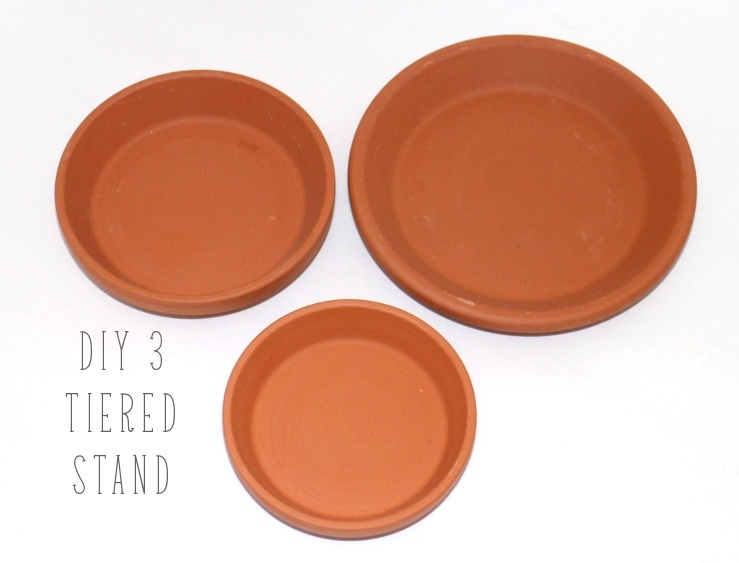 Make your own easy 3 tier stand using clay pot saucers. They are super inexpensive, come in many different sizes and are super easy to paint. I used 3 clay pot coasters and two silver candle stick holders. To attach it together I used highly recommended by crafters E6000 glue. This stuff rocks. To decorate it I used regular acrylic craft paint and some sparkly rhinestone type ribbon. As you can tell from the top tier, I’m Canadian, if you didn’t know that already. Eh?